Lewis Kostiner was born in Montréal, Québec, Canada, in 1950 and was raised in Montréal before his family moved to Westbury, Long Island, in 1962. He earned his B.A. in liberal arts, with an emphasis in photography and creative writing, at Brown University in Providence, Rhode Island, where he also studied at the Rhode Island School of Design with Aaron Siskind, Harry Callahan, and Emmit Gowen. He completed his M.S. in photography at the Institute of Design at Illinois Institute of Technology in Chicago, where he studied with Arthur Siegel, Garry Winogrand, and Geoff Winningham. After he left Brown, he assisted Aaron Siskind for many years and traveled with him worldwide. From 1973 to 1981 he was an adjunct professor of photography at Columbia College Chicago, and he is currently a faculty member in the Department of Photography at the School of the Art Institute of Chicago. His photographs are in the permanent collections of, and have been exhibited at, the Art Institute of Chicago, Center for Creative Photography, Museum of Contemporary Photography, and Museum of Modern Art, among many others. Lewis is married to Anne Neri Kostiner, and they have two daughters, Rickie and Tess. 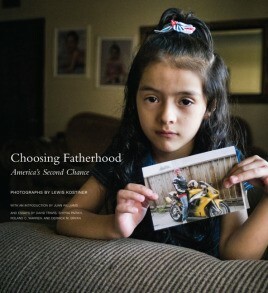 Choosing Fatherhood: America's Second Chance with photos by Lewis Kostiner is a beautiful, large format, full color book of poignant photographs and essays about fatherhood in America. Since World War II the number of fatherless children in the United States has risen from 11 percent to over one third, and it is wreeking havoc and grief in almost every sector of this country. According to the heart-stopping essays by several renowned authors, the absence of fathers in the home is the root cause of the huge increase of poverty, drop-out rates of schools, incarceration, behavioral problems, child abuse, and feelings of abandonment for more than 24 million children today. The book, presented by The National Fatherhood Initiative Organization, is a very important one, and its message offers ways to educate men about the responsibilities and delights and rewards of being present as their children grow up. Get this book for your library! Kostiner is a Chicago-based photographer who became involved with the National Fatherhood Initiative, travelled to community-based NFI programs, and met with and photographed fathers and children. This volume presents his photos full page in an elegant volume (oversize: 10" x 11") with thorough narrative captioning. 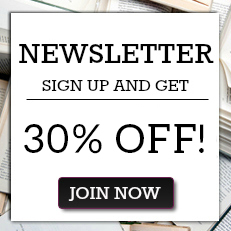 Also included are essays by journalist Juan Williams; the former president of NFI, Roland C. Warren; the retired curator of photography of the Art Institute of Chicago, David Travis; Shipra S. Parkih, a psychotherapist from Chicago); and Derrick M. Bryan (Sociology, Morehouse College). They write about the importance of fathers and fatherhood and doing it well and offer suggestions for readings and viewings.